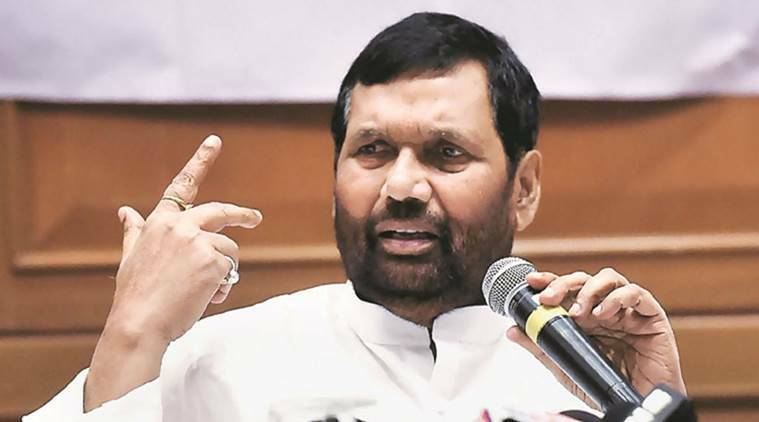 The government is making concerted effort to improve farmers’ situation and has launched several programmes to double their income by 2022, Food and Consumer Affairs Minister Ram Vilas Paswan said on Thursday. He said the farmers have made the country self-sufficient in foodgrain production but their situation is bad even on Thursday. Speaking at commodity exchange NCDEX’s award function, Paswan thanked farmers for record production of pulses in the 2016-17 crop year but said farmers were not getting the right price for their produce. “Farmers are the backbone of the country. Manufacturers can decide price for their products, but farmers cannot. Farmers are not able to recover cost of production. Therefore, our government is making full effort to improve the lives of farmers,” Paswan said. He said the government had launched number of programmes like crop insurance scheme, soil health card, irrigation schemes and linking to mandis on electronic platform to double farmers’ income by 2022. Farmers in many states including Madhya Pradesh and Maharashtra are in distress because of low sales realisation on bumper production. Tamil Nadu farmers are affected due to deficient rains. Paswan also drew attention towards uproar over increase in prices of farm items and said there is no hue and cry when rates of non-food products rise. The minister said the government is providing highly subsidised food grains to 81 crore people in the country under the National Food Security Act. Minister of State for Parliamentary Affairs Arjun Ram Meghwal said there was a need for intervention from sowing to marketing to achieve the target of doubling farmers’ income. He said the government would use smart technologies to assess the crop damage and provide claims to farmers on time.